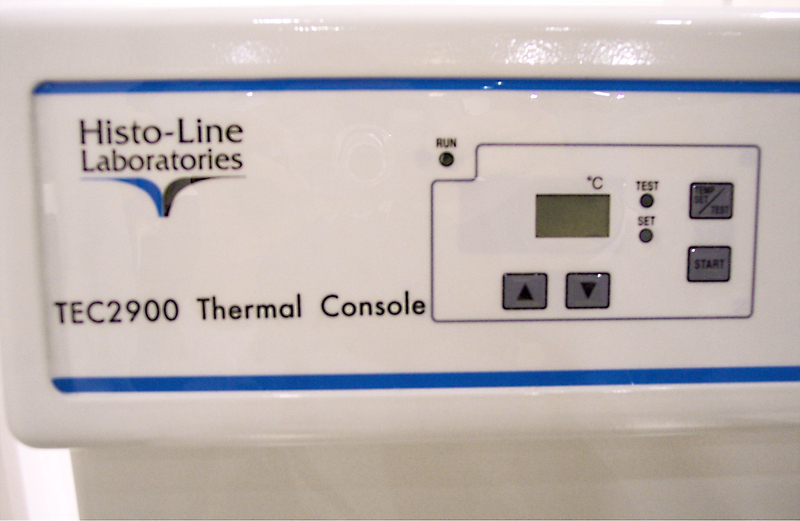 Thermal Console is designed to allow the heating and short-term storage of biological samples. The large and removable tray allows a big capacity of cassettes. Can contain up to 4.8 Lt of paraffin and be removed for transport and easy cleaning. Is provided with a control panel to set and monitor the desired temperature with a temperature range between from ambient to 80°C. Can be used independently from the embedding center and placed at will on the right side or the left side of dispensing console. The metal cover can be easily fully or half opened.